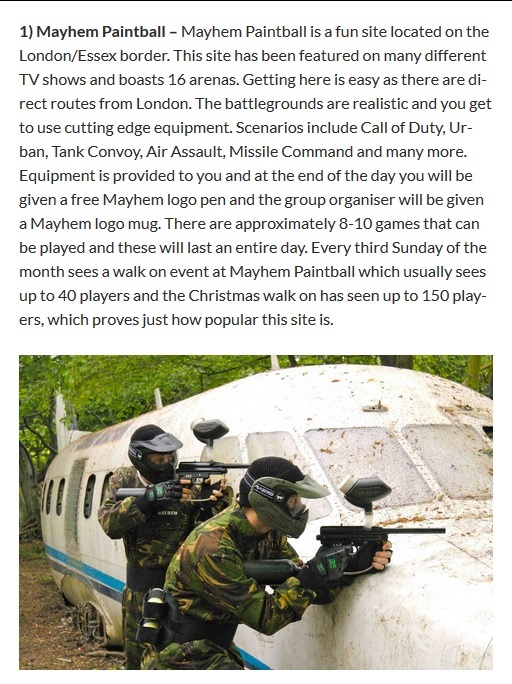 BZ Paintball, the UK's biggest paintball mega-store has released their top 10 paintball sites in the UK. We have visited 8 of the sites on the top 10, and we think they are all excellent paintball venues. Reading through the paintball venues, we're delighted to announce that they have voted Mayhem as the UK's #1 paintball site! Check out the full list here on the BZ Paintball blog, it's split into 2 sections, 6th to 10th and then 1st to 5th!